King Crabs, or as they are sometimes known, stone crabs exist around the world, but the Alaskan king Crab is made up of three different types that are fished for commercially, blue king crabs, golden king crabs and red king crabs. The mature male of the species will usually have a leg span of around 3 feet, and they have 5 sets of legs. The first pair in the front are where the claws, or pincers grow and most often the pincer on the right is bigger in mature crabs. The three sets in the middle are used for walking and the las set is much smaller and usually concealed under the back of the shell. This set is used by mature females during the incubation of eggs, and by males in the use of transferring sperm to the female. When a female breeds she will incubate the eggs under her tail for about a year and after this they will hatch as larvae and swim about on their own. Because a crab has an exoskeleton (its shell) they must molt or shed their shell in order to grow. Females must molt before mating but males may keep the same shell for 1 or 2 years between moltings. 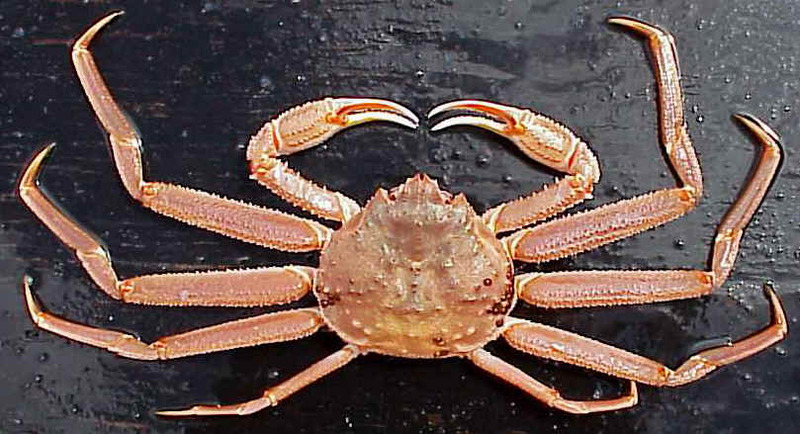 Mature crabs have a very set migration pattern, coming in to shallow waters in late winter, by spring when the females embryos hatch and set off on their own, they migrate back to deeper offshore water to feeding grounds. Some of the food that the crabs feed on are starfish, sea urchins, fish parts, which are largly used in the baiting of the crab pots used by commercial fisheries , sponges and algae. 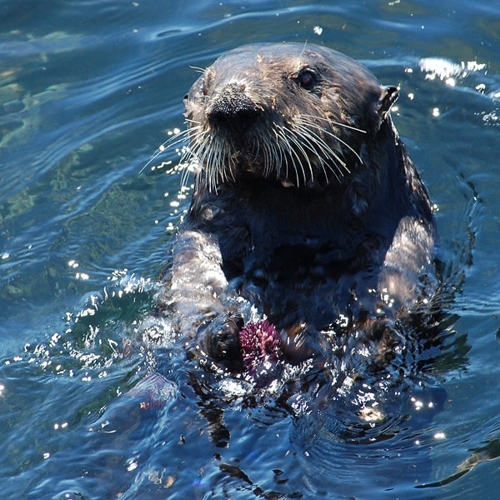 While you may think that their natural armor makes them a difficult dinner, many forms of marine life will dine on these crabs, including Pacific Cod, Halibut, octopuses, and other king crabs, which are known to be at certain times cannabalistic, sea otters will also catch them when possible in shallow waters. Certain types of sea worms will eat the larvae.